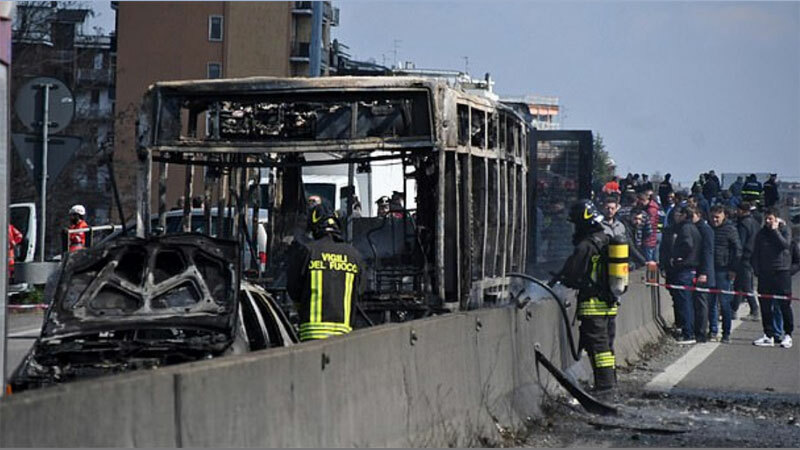 A bus carrying 51 schoolchildren was hijacked by its driver and set alight near Milan in Italy. The driver, a 47-year-old Italian citizen originally from Senegal, has been arrested. A teacher who had been on the bus said the suspect - named by police as Ousseynou Sy - was known to be angry about Italy's immigration policy and about the deaths of migrants in the Mediterranean.